These allergy alert labels let your child know what is and isn’t okay to eat. 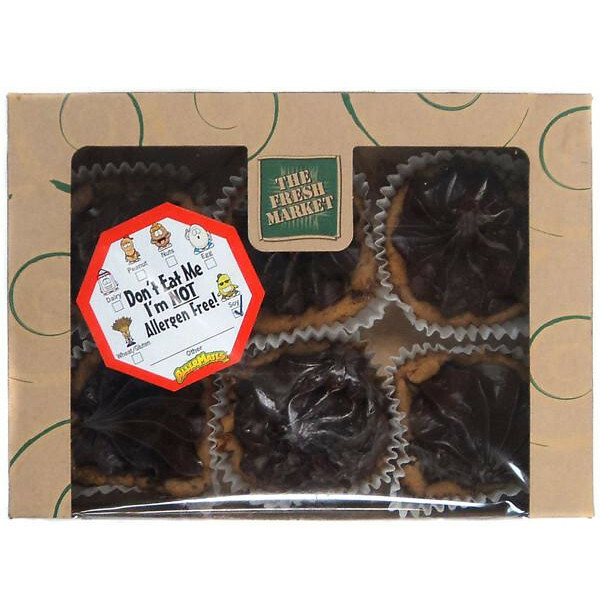 Great for use in the kitchen and also perfect for school. 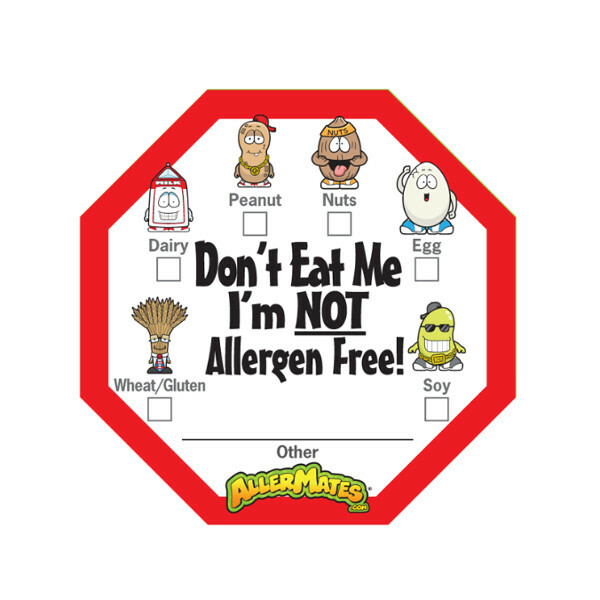 The stickers have 6 of the cool Allermates Allergy characters on them so you can tick off all of the ones that are in the food. 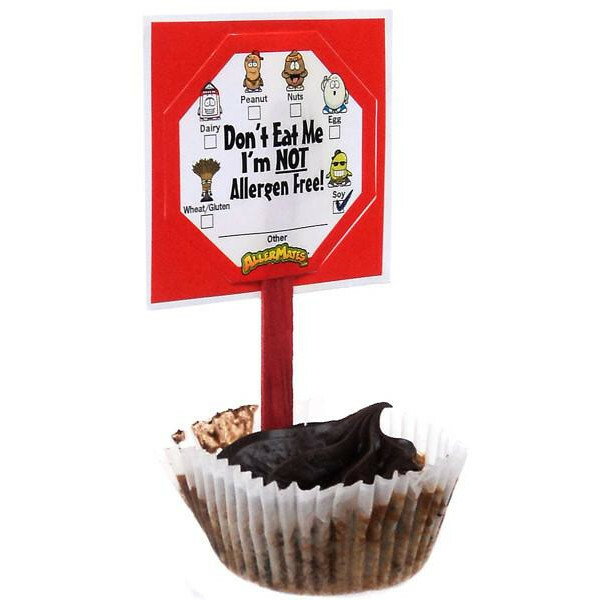 These allergen alert labels let your child know what is and isn’t okay to eat. Great for use in the kitchen and also perfect for school. The stickers have 6 of the cool Allermates Allergy characters on them so you can tick off all of the ones that are in the food. 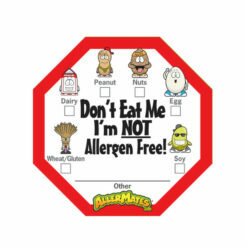 If your child has multiple allergies or you have kids with allergies in your class, these stickers are perfect. 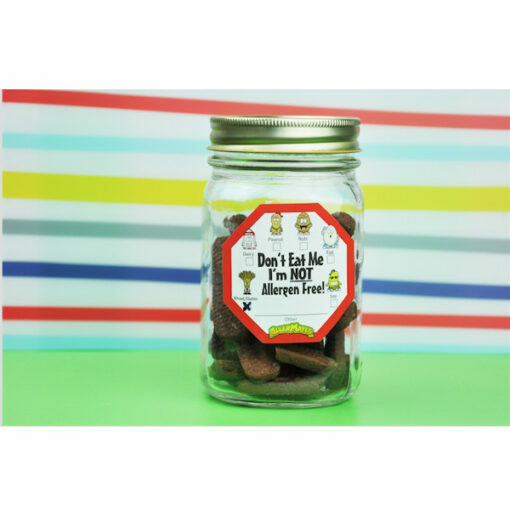 You can let them know exactly what’s in the food, avoiding confusion or accidental allergen exposure. There’s even a space for you to write on other alelrgens if necessary. Check off all of the allergens that are in the food. Shaped like a Stop sign so it will be noticed. 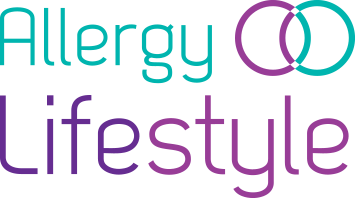 Stickers can be used in the refrigerator, freezer or pantry to keep kids with food allergies safe.